If I were in charge of education, reading for pleasure would be at the heart of the curriculum. All the evidence suggests that the benefits are huge and wide-ranging, both educationally and personally. Plus, it’s fun, and I do think that school should be fun. Sadly, the evidence also suggests that boys read for pleasure less than girls do, which is why the lovely people at Oxford Owl have asked me to suggest some books which might inspire boys to read. Please note – these aren’t “boys’ books”. There’s no reason you shouldn’t read them with your daughters, and I’d also encourage you to take a look at Joanna Nadin’s recommendations for girls to see which ones your son might enjoy. As I often say to children when I visit schools, there are no “boys’ books” or “girls’ books”; there are just books, and if you’re reading a book and enjoying it, then the author wrote it for you. And of course, every reader is different. As a child, I loved Roger Lancelyn Green’s retellings of ancient myths, CS Lewis’s Narnian Chronicles, pretty well any age-appropriate science fiction I could get my hands on, and for a while I drove my parents crazy with The Puffin Joke Book by Bronnie Cunningham and Quentin Blake. A Famous Five fan, I wasn’t averse to pinching my sister’s Naughtiest Girl in the School and Twins At St Clare’s books, either. 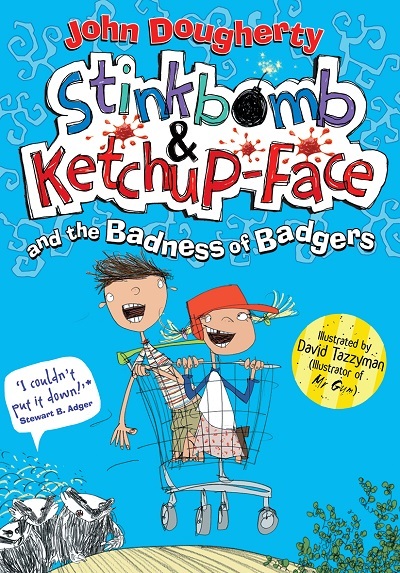 On the other hand, football didn’t interest me at all, but I’ve heard of Year 5 and 6 boys who didn’t see the point in reading until they discovered one or another of Tom Palmer’s football series. Likewise, there are boys who love fart gags, and boys who don’t; boys who love adventure, and boys who prefer inventions; boys who like fantasy and boys who won’t read anything that’s not absolutely true-to-life. If you’re looking for books to get your boy into reading, it’s usually best to start with what he’s interested in. In my far-from-comprehensive list of recommendations below, I’ve tried to strike a balance between all the different types of boy readers there might be out there. And I’ve also included a few of my own books, because I’d really like you and your child to read them. That’s why I wrote them, after all. Please note: The age ranges here are intended as very, very rough guides only. It really doesn’t matter if your 12-year-old is reading a picture book, as long as he’s enjoying it! 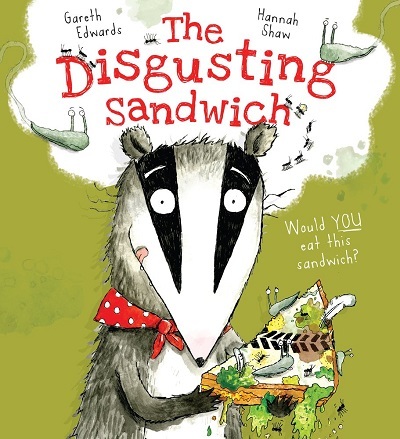 Any child who’s ever enviously eyed up someone else’s food – or who’s ever been told not to eat food off the floor – will love this tale of a hungry badger following a sandwich through the park as it goes through mishap after disgusting mishap. A simple concept, brilliantly executed. Every page overflows with choices – Where would you rather live? What would you rather wear? What kind of bed would you like? 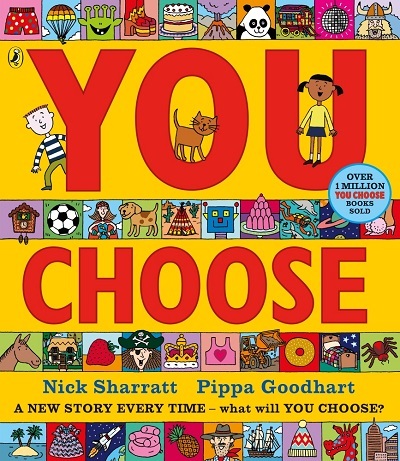 – brightly illustrated in the classic Sharratt style. There’s no story, as such, but my children asked for this one over and over again, and we had some fantastic conversations as a result. Highly recommended. 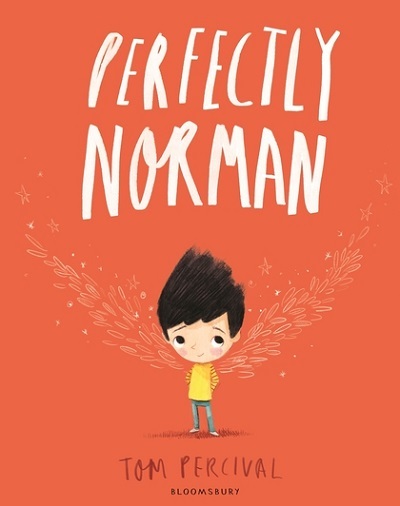 Norman is perfectly normal – until one day he grows wings. Torn between excitement and embarrassment, he hides them – but this leads to more problems. What should he do? A beautiful, accessible little fable about the importance of being yourself. 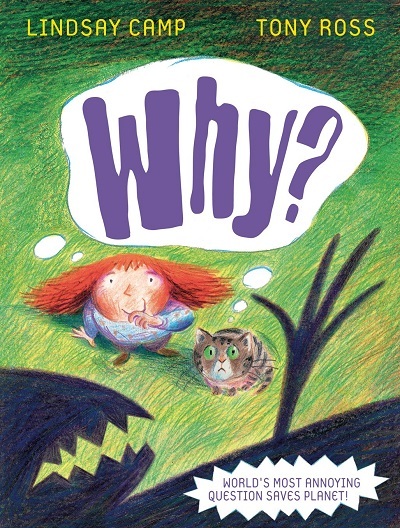 Perfect for any child who’s going through the “Why?” phase, and for any parent who’s beginning to struggle for answers. A lighthearted story about how questions can be both annoying and incredibly useful. 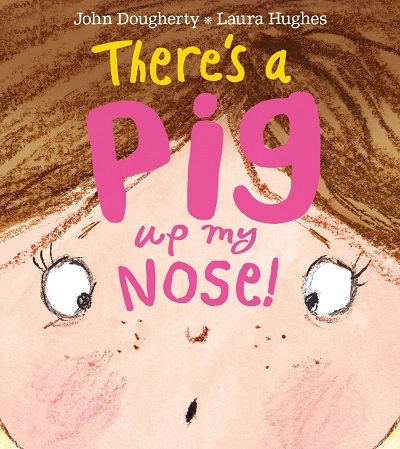 The story of a girl who gets a pig stuck up her nose, and her classmates’ attempts to get it out. I get lots of giggles when I read this to small children. You may well already know Jon Klassen’s Hat books, Dear Zoo by Rod Campbell, and everything by Julia Donaldson and Axel Scheffler – if not, check those out, too. For something a little cheeky, there’s The Great Dog Bottom Swap by Peter Bently & Mei Matsuoka; and for the child whose sense of humour can best be described as scatological, try The Story of the Little Mole Who Knew it Was None of His Business, by Werner Holzwarth and Wolf Erlbruch. 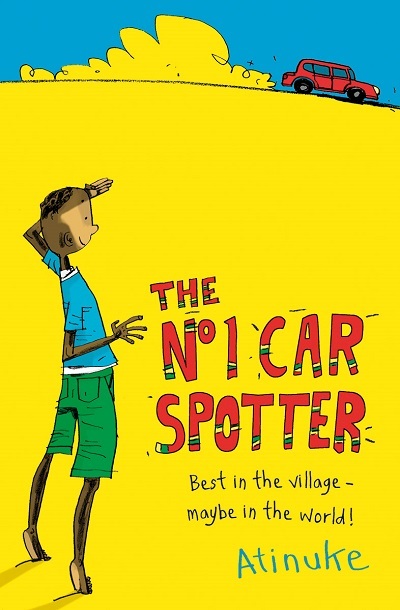 Told in a distinctive, lively voice and with some terrific characterisation, these are the adventures of a boy in a village in sub-Saharan Africa. Entertaining, touching, and great both for expanding children’s horizons and showing them that we’re all the same under the surface. 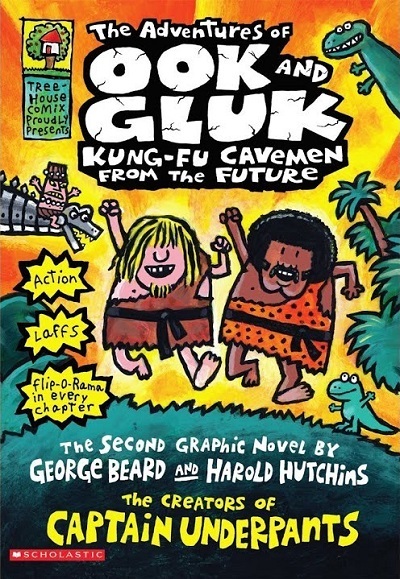 Ook and Gluk is written in comic-strip form, ostensibly by Harold and George, the heroes of Pilkey’s equally-anarchic Captain Underpants series. Ridiculous, subversive, full of phonically-accurate misspellings, and cleverer than you might think, it’s sure to appeal to readers who might be daunted by big paragraphs of text. Some less eager readers, unwilling yet to commit to even a short novel, can be lured in by a complete piece of writing only a page or two long; and the more adventurous reader, too, can find poems short, sweet and satisfying. 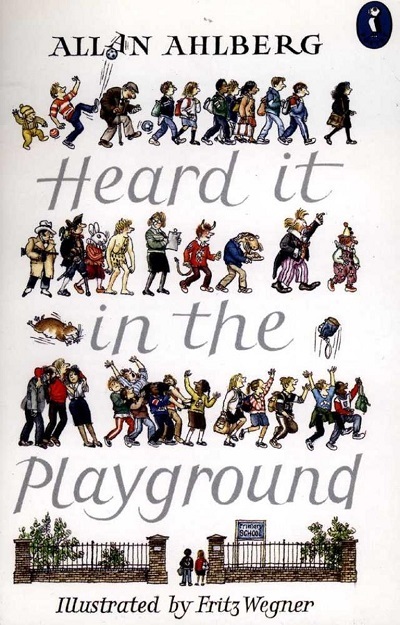 Ahlberg’s collections of verse about school, childhood and life are simply marvellous, and with an understanding of and empathy for the young reader that’s second to none. 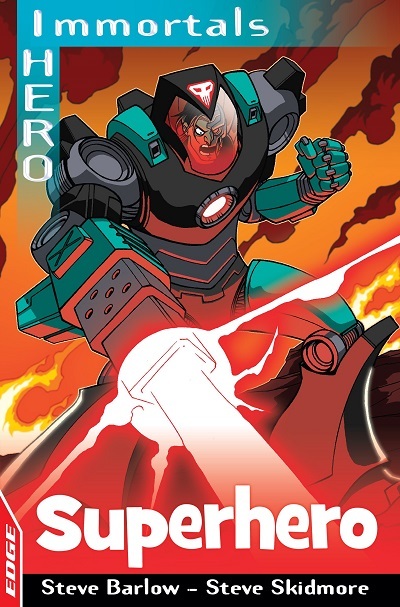 If you’ve got a son who’s interested in dinosaurs, space flight, or both, you could try Steve Cole’s Astrosaurs series. For a budding naturalist, Nicola Davies’s Animal Science books are definitely worth a look. And you may already know about Francesca Simon’s incredibly popular Horrid Henry! I could have chosen any of the Reeve and McIntyre collaborations, and I encourage you to seek them all out; but I think this would have been eight-year-old me’s pick of the bunch, because it’s set in space. Featuring suspended animation, evil cakes, lots of brilliant illustrations and a great story. 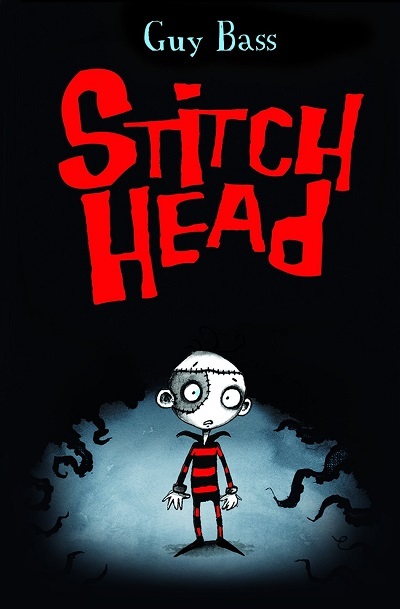 Stitch Head is an endearing little Frankenstein’s Monster type of guy, devoted to the mad Professor whose first creature he was – and who has since forgotten him in his quest to make his greatest creation. Funny, at times moving, and with just a hint of gothic creepiness, but without ever being genuinely scary. 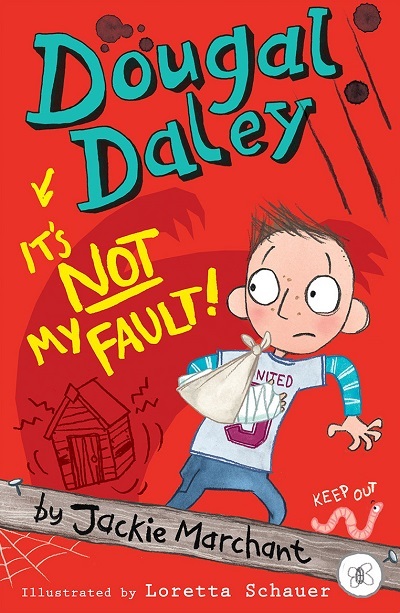 Perfect for readers who have got through all of the the Wimpy Kid or Tom Gates stories and are ready for something a bit more text-heavy. They’ve got a similar rambling diary-style narrative – which ties up surprisingly neatly in the end – and, in my view, a more sympathetic central character. Previously and rather unfortunately published as Dougal Trump. Of all the lovely feedback I get about these books, my favourite two things are: they make children laugh, a lot, and children who aren’t keen on reading want to read them. For some reason people can be a bit sniffy about non-fiction, but for a lot of children – and, anecdotally, particularly boys – it can be what really gets them reading. This (and others by the same author) are great for dipping into to find funny and interesting facts about all kinds of things. 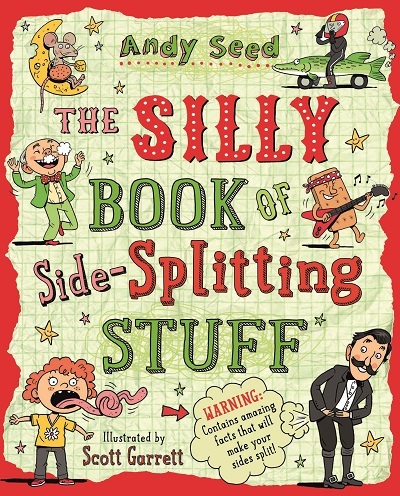 And if your boy has read all of Andy’s fact books and is keen for more, try Adam Frost’s. I would hope you already know the Mr Gum books by Andy Stanton, illustrated by David Tazzyman; if not, they’re an absolute must for kids with a silly sense of humour. And for the football obsessive in your life, try Bali Rai’s Soccer Squad series. Around the age of 11, my son tentatively announced that he didn’t think he liked reading. About a week later, he discovered this series and eagerly raced through all eight books in five weeks. 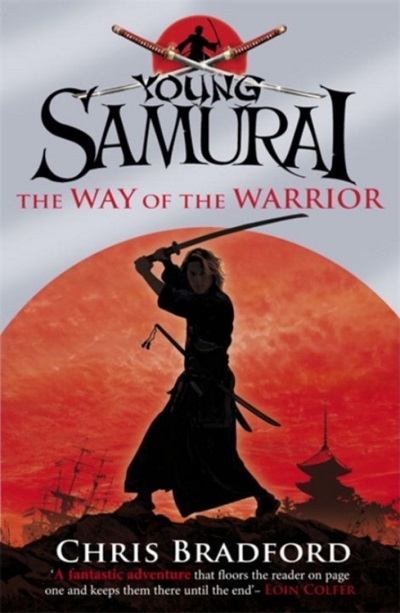 With a similar pace to the Harry Potter novels, they’re the story of a young English boy, sole survivor of a shipwreck in the 17th century, who is adopted by a Samurai and taught the way of the warrior. 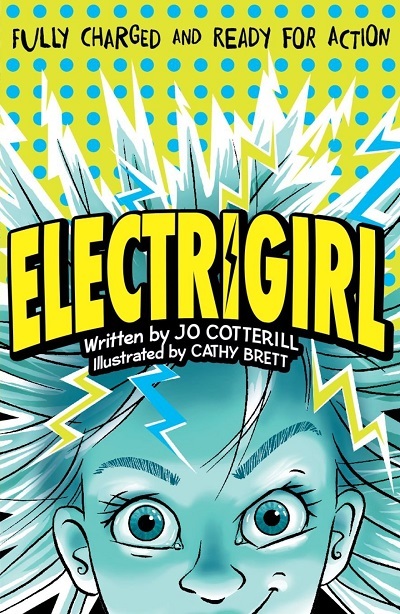 Part book and part graphic novel, the Electrigirl stories are terrific both for confident readers and those who might be a little more reluctant. There’s something of a myth in publishing that boys won’t read books with a girl as the central character (I wrote more about that here) but I really don’t believe that holds if the story is good enough, which these – action-packed, yet with real heart and depth – definitely are. 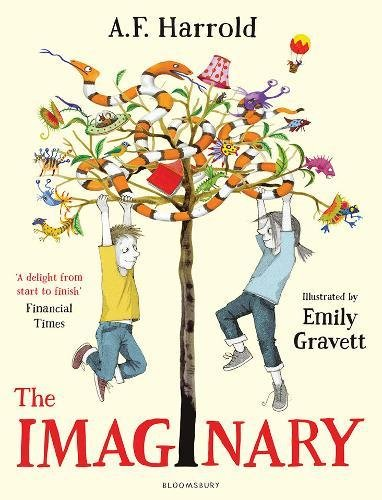 The Imaginary is a beautiful, lyrical, suspenseful and at times scary tale of an imaginary friend cut loose from the child who has imagined him, and pursued by a monstrous man who wants to eat him. 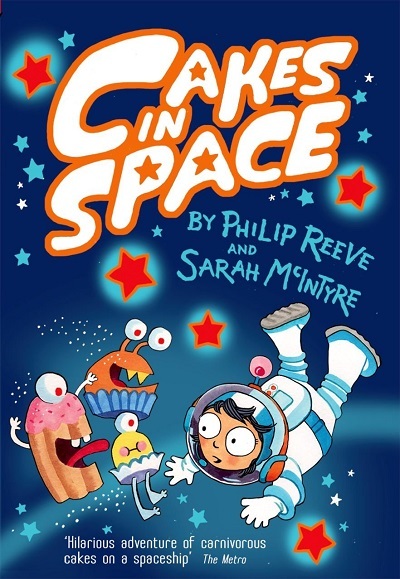 I’m aware of how weird that sounds, but it really is a brilliant book, perfect for any child with a strong imagination. 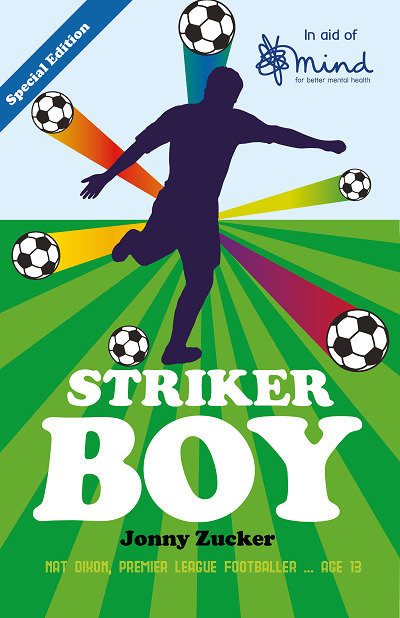 If your son is obsessed with football (like mine is), then he’s going to want to read about football, and Striker Boy is a great place to start. The premise – a 13-year-old is recruited to play for a Premier League side – may sound unconvincing, but Zucker makes it feel entirely plausible, and adds in a healthy dose of intrigue and danger. Readers who’ve enjoyed Striker Boy could try the Jamie Johnson series by Dan Freedman, and pretty well anything by Tom Palmer. For those with an interest in fantasy, Who Let the Gods Out? by Maz Evans is highly recommended, and Skulduggery Pleasant by Derek Landy offers a great mix of comedy, adventure and gothic horror. And of course, it’s always worth talking to a children’s bookseller or librarian for recommendations – they’re usually extremely knowledgeable. I hope you’ve found these suggestions useful! The Amulet graphic novels by Kazu Kibuishi. The Cirque de Freak novels by Darren Shan. The Jack Stalwart books by Elizabeth Singer Hunt. The Scream Street books by Tommy Donbavand. The Furnace series by Alexander Gordon Smith. The Jimmy Coates series by Joe Craig. The Tintin collection by Hergé. The Phoenix comics, and both Phoenix and DC graphic novel collections. John Dougherty was born in Larne, Northern Ireland. He studied psychology at university and then tried his hand at a number of jobs including YMCA hostel worker, factory machine operator, and unsuccessful singer-songwriter, before becoming a primary school teacher. His books have been shortlisted for a number of prestigious awards but, more importantly, they make children giggle.